Gleason started in the role last month. BOULDER: Grayling has promoted Dianne Gleason from SVP of the Denver PR practice to EVP, US technology practice lead and head of the agency’s newly launched Boulder, Colorado office. Gleason, who joined Grayling in October 2014, reports to CEO Peter Harris. She is tasked with handling client relationships and business development for the tech practice, as well as helping to expand the firm’s presence in Boulder across technology, health and wellness, sporting goods, and sustainability. She stepped into the new role last month. Andy Getsey, cofounder of Atomic, which Grayling acquired in 2011, previously served as EVP and co-chair of the technology practice. Getsey left the firm at the end of 2014, according to his LinkedIn profile. The Boulder office has three staffers. Gleason plans to hire more team members with the addition of new clients, she said. Gleason specializes in working with enterprise and startup tech businesses on brand strategy, positioning, and reputation and crisis management, and she helped the agency win business from tech company Ingram Micro earlier this year, according to a company statement. She said she is excited to expand from the agency’s legacy in consumer technology into the b-to-b and enterprise tech spaces. She also wants to explore sectors such as "energy tech, clean tech, solar, and other things that are not traditional technology but that are more ancillary technologies," she added. Prior to Grayling, Gleason served as president of Enfuego Strategic Communications for more than 11 years. She has also served as marketing VP at Wellbridge and EVP and MD of GCI Group’s global tech practice. 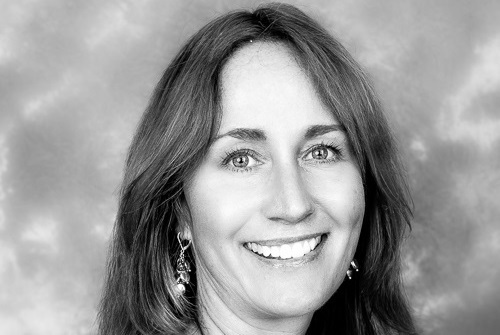 Gleason began her career at San Diego's McQuerter Group, where she managed PR programs for Qualcomm and Fujitsu. She also spent several years running her own marcomms consultancy called Mania Communications.